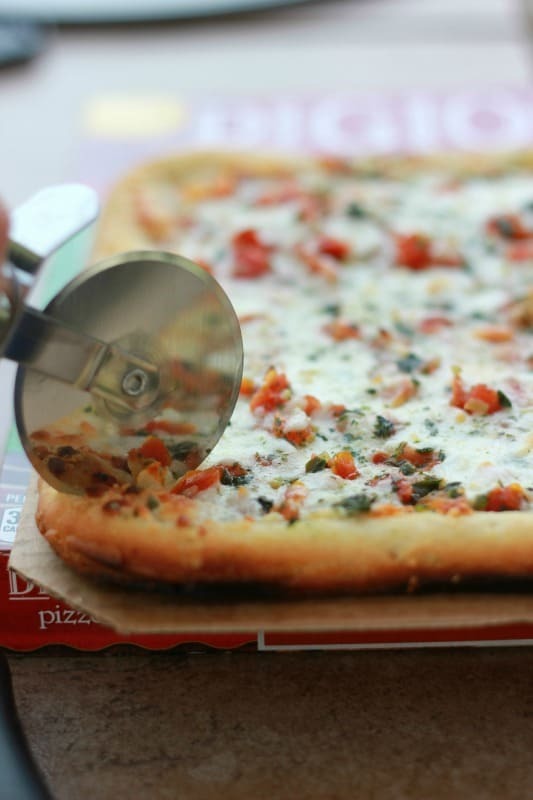 How to grill a frozen pizza – This easy cooking method gives you tasty pizza with a crisp crust with little work! Perfect with any of your favorite pizza flavors. Summer is here and that can mean only one thing! We are out of the kitchen and working on the grill. 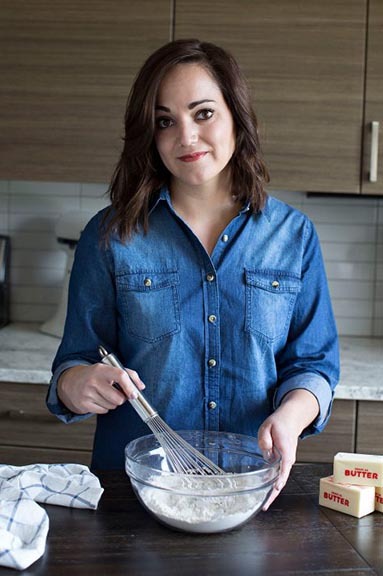 Show of hands, how many of you hate hate hate turning on the oven during the summer? It seems to heat up our entire house and has us hiding in our basement for relief. 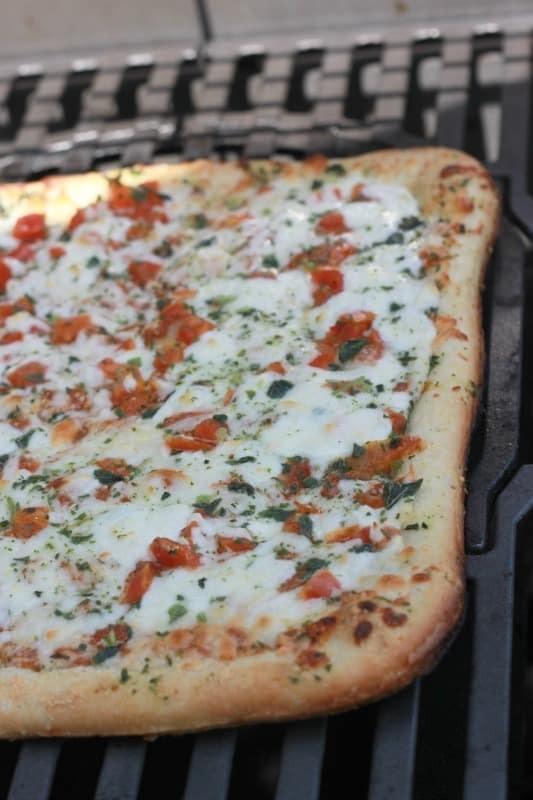 We recently discovered the joys of outdoor cooking and cannot express how much we love grilling pizza. It is SO easy, especially when you start with a frozen pizza. They are cheaper than take out and taste just as good! Start by preheating your grill until it reaches 375 degrees. Make sure the grates are clear and clean. Unwrap you pizza and discard and cardboard and plastic. 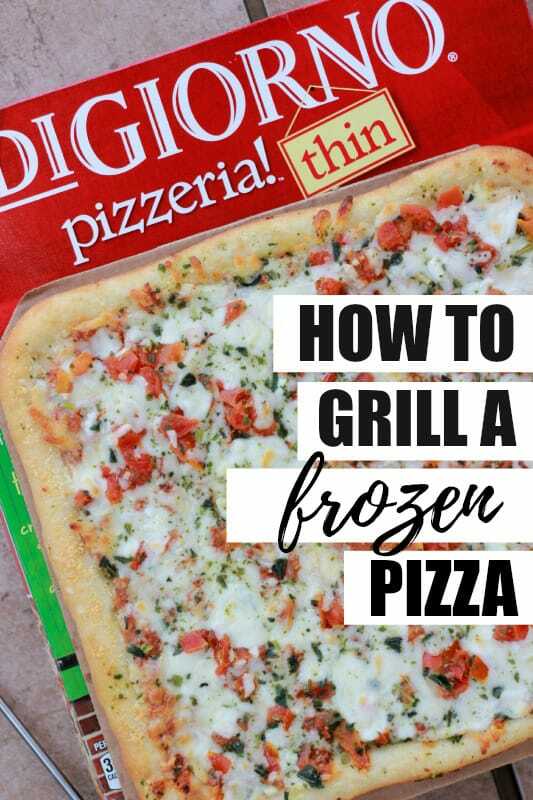 Place the frozen pizza directly in the center of the grill, close the lid, and cook 15 minutes or until slightly golden around the edges and heated through. What is the best frozen pizza to grill? 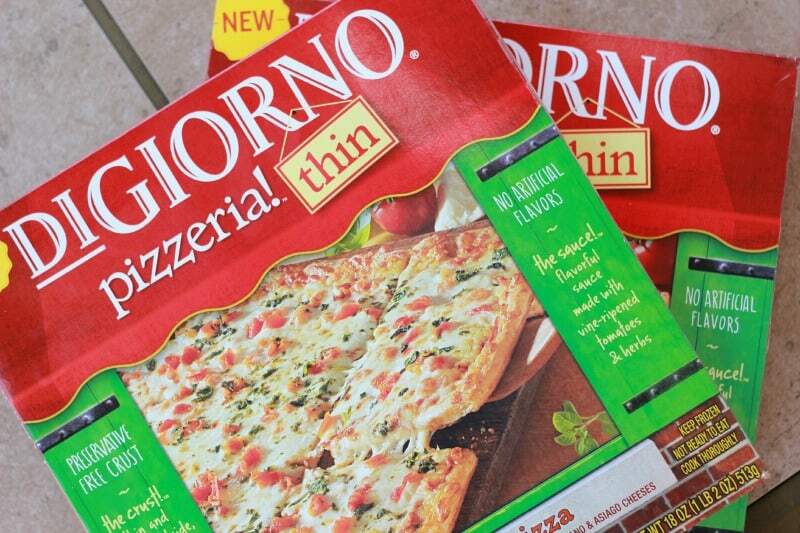 We used Digiorno thin crust for this post but have used almost any variety sold in stores. We try to stick with whatever is on sale. Times may vary based on the pizza thickness or brand. I recommend checking your pie every 7 minutes or so. Side note, if you have a Papa Murphy’s in the area… Their pizza tastes AMAZING grilled this way. Especially their thin crust. How to grill a frozen pizza - This easy cooking method gives you tasty pizza with a crip crust with little work! Frozen pizza flavor of your choice. Thin crust works best. Preheat your grill over medium until it reaches 375 degrees on a grill thermometer. Place the frozen pizza directly in the center of the grill and close the lid. Cook 13-15 minutes or until the crust is golden and the cheese is melted. I just love Digiorno Pizza, its my family favorite.